Rachel Bassette Noel was the first African American woman to be elected to public office in the state of Colorado. Born on January 15, 1918 in Hampton, Virginia, Noel earned her bachelor’s degree from Hampton University and her master’s in sociology from Fisk University. In 1942 she married Dr. Edmond F. Noel and a few years later the two moved to Denver, Colorado. Noel was elected to the Denver Public School’s (DPS) Board of Education in 1961 and was appointed to the school board’s special committee on equal education opportunity in 1962. The committee was created in response to community protest following a DPS-proposed segregated junior high. In April 1968, while serving as a member of the board, Noel wrote and introduced Resolution 1490, which became known as the “Noel Resolution.” She authored it with fellow school board member A. Edgard Benton on the evening of Dr. Martin Luther King Jr.’s assassination. The resolution directed Superintendent Robert Gilberts to develop and submit a comprehensive integration plan for Denver Public Schools by December 1968. The resolution generated significant controversy, but despite public opposition and threats to Noel and her family, the resolution passed the school board with amendment. The Supreme Court affirmed Noel’s position in the landmark 1973 decision Keys v Denver School District No. 1. It was the first Supreme Court desegregation case that dealt with a school system outside of the American South. In 1969, Noel became a faculty member at Metropolitan State University of Denver teaching sociology and African American Studies. She was chair of the Department of African American Studies from 1971 to 1980 and won Outstanding Female Faculty Member for the 1974-75 school year. In 1981, MSU Denver endowed The Rachel B. Noel Distinguished Visiting Professorship to foster diversity and academic excellence. Noel Professors have included Lerone Bennett, Diane Reeves, Ossie Davis, Billy Taylor, and Johnetta Cole. Denver’s Rachel Noel Middle School was also dedicated in her honor. In 1976 Noel was appointed to the University of Colorado Board of Regents by former Governor Richard Lamm and became the first African American woman elected statewide to that body when she won a six-year term in 1978. Noel worked with a number of civic, church, educational, and social organizations, and received numerous awards and honors for her civil rights contributions. She was inducted into the Colorado Women’s Hall of Fame in 1996 and won the Martin Luther King Jr. Humanitarian Award in 1990, the Denver Mayor’s Millennium Award in 2001, and the Anti-Defamation League’s Civil Rights Award in 2004. She was also a member of the U. S. Civil Rights Commission, the Colorado Advisory Committee, Mayor Wellington Web’s Black Advisory Committee, and was the chair of Mayor Peña’s Black Advisory Committee. MSU Denver awarded her an honorary degree in 1981, and she also received honorary doctoral degrees from the University of Denver in 1993 and the University of Colorado in 2004. Rachel B. Noel died in 2008 in Oakland, California at the age of 90 and is survived by her daughter Angie and son Buddy Noel. 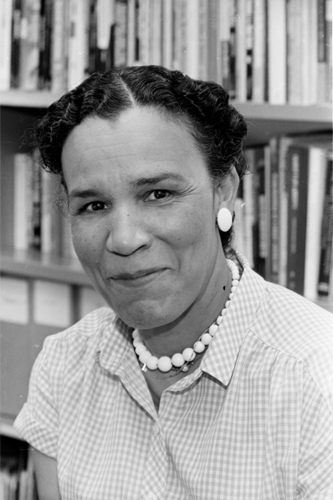 “About Professor Rachel B. Noel,” https://msudenver.edu/noel/aboutrachelbnoel/; Mike McPhee, “DPS pioneer Rachel Noel dies in California,” The Denver Post, February 4, 2008. https://www.denverpost.com/2008/02/04/dps-pioneer-rachel-noel-dies-in-calif;“Rachel Bassette Noel,” https://www.cogreatwomen.org/project/rachel-bassette-noel/; Robert T. Connery, “Keyes v. School District No. 1: A Personal Remembrance of Things Past and Present” Denv. U. L. Rev. 90, no. 5 (2013): 1088-89. http://exhibits.historycolorado.org/lincolnhills/pdfs/Keyes_v._School_District_No.1_Robert_T._Connery.pdf.